I am a Millennial, and our generation was brought up to believe that one should never, ever, under any circumstances stop learning. In fact, this is not just a mindset, it is a necessity of our world. Technology is developing extremely fast and the business follows – so we all need to constantly update our skills and approaches to various tasks. Furthermore, the economy is pretty bad and the more qualified you are, the higher your chance of successful professional realization (gone are the days when a simple BA or BS degree was enough to get a decent job). For those of you who also believe we should keep acquiring new skills and knowledge every day, I have compiled a list of places that offer massive open online courses (MOOCs) and educational resources you can get for free. 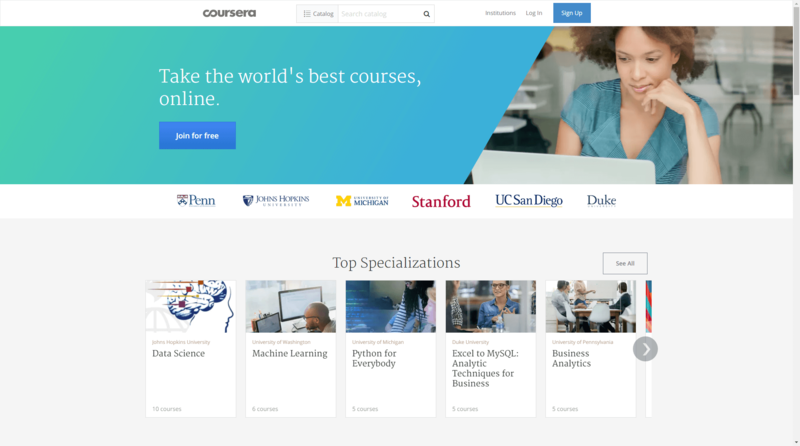 There should be a limit to the number of Coursera classes one can sign up for – whenever I check the course catalog, I get greedy and subscribe for a gazillion of classes that I have a hard time following in real time. The good news is that Coursera keeps an archive of these so you can follow them later on when you actually have the time. This way you miss out the communication with the course tutor and you don’t get feedback on your assignments so I would say this option is suboptimal but on the other hand, you get to follow your own pace and fit the classes in your agenda. The topics of the courses and specializations range from Arts & Humanities to Computer and Data Science to Engineering to Social Studies to Linguistics – there is literally something for everyone. 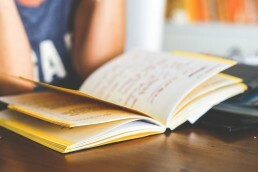 The list of educational content providers is also impressive and includes Ivy League schools like Stanford and Brown, as well as other prestigious organizations such as the Technical University of Eindhoven in the Netherlands, Johns Hopkins University, St. Petersburg State Polytechnic University, the Museum of Modern Art, etc. Most of the content is available free of charge, however, you have the option to pay a small fee and get an official certificate. You can also sign up for a paid specialization course (again, very affordable). 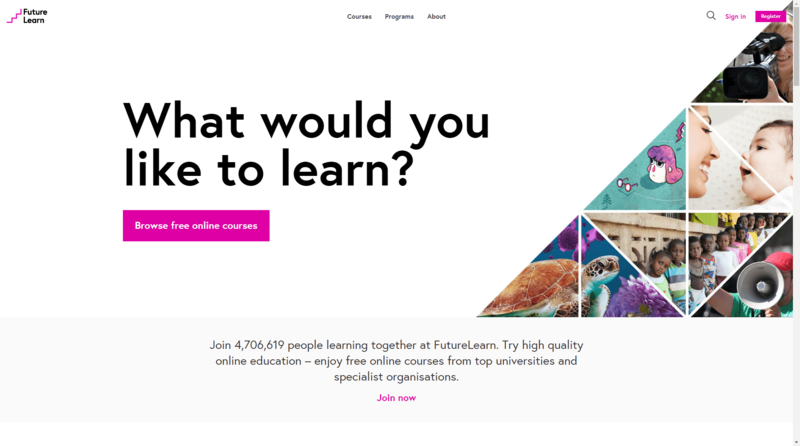 Another site I quite like and frequent is FutureLearn. There, you can get an education on the topics of Business and Management; Science, Math & Technology, Media and Creative Arts, Languages and Cultures, etc. Most of the course curriculum is supplied by educational institutions in Europe (with a focus on the UK) – King’s College London, University of Bergen, Bath University, but there are also educational courses coming from Australia, South Africa, China, Taipei, etc. Just like Coursera, FutureLearn offers the opportunity for a paid specialization, only here these are called Programs. 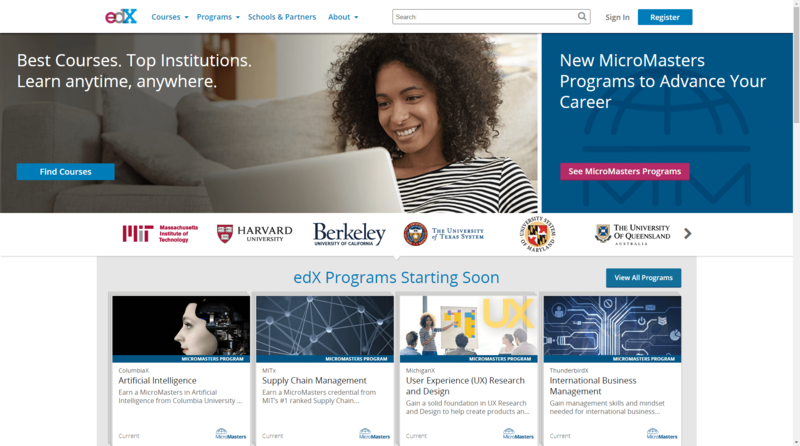 Another place that offers loads and loads of free is edX. The site claims it takes the “mission of increasing global access to quality education seriously”, and the list of partnering universities is impressive – like Harvard-, Berkeley-, MIT-, Caltech-, Cornell- and the Sorbonne-impressive. Course subjects include architecture, electronics, environmental studies, law, literature, medicine, music, communication, computer studies and many, many more – which means that the site can easily be a one-stop shop if you want to become a doctor who can code, has mastered communication with the patients, has designed their own clinic and plays the piano on their off-time (I’m kidding, though – please don’t practice medicine without a proper license!). Specializations are also available and are split into 3 types – MicroMasters, Professional Certificate and XSeries. The pricing of these is a bit steeper than Coursera but still worth every penny. That kinda sums up this site. On it, you’ll find materials from more than 2,300 courses taught at MIT. 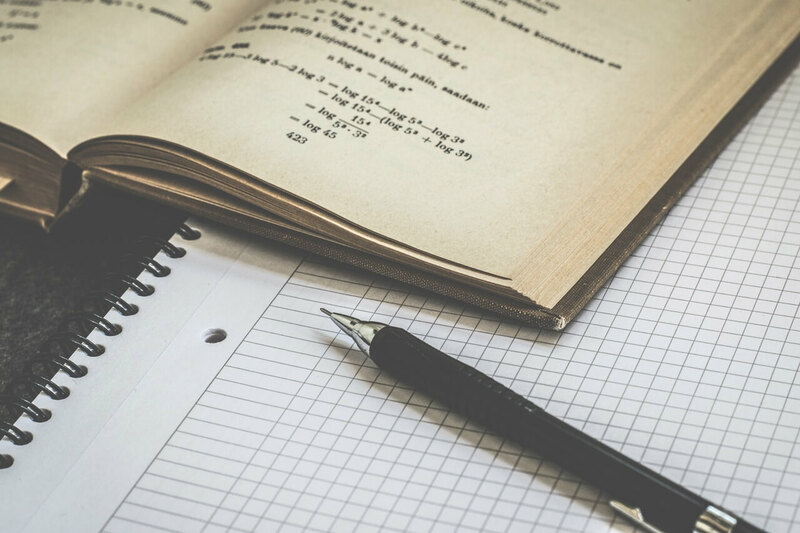 This means that whether you’re interested in business, humanities, fine arts, mathematics, science, etc., you will find a suitable course for you. Course materials come in different forms – video and audio lectures, online textbooks, interactive simulations and so on. 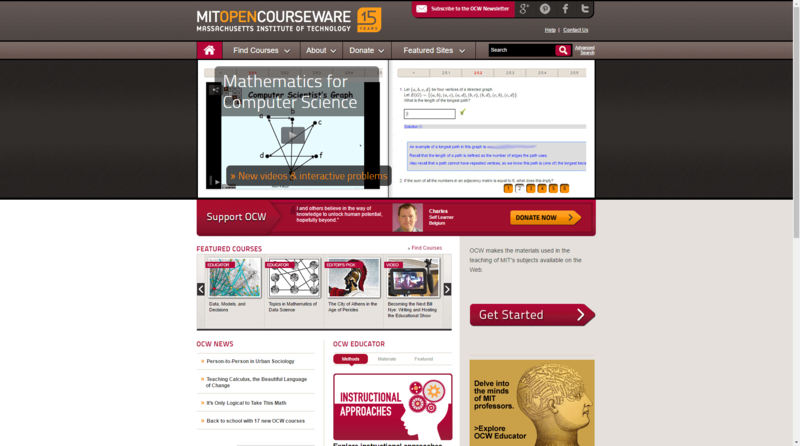 MIT OpenCourseWare also offers courses translated into different languages – Traditional Chinese, Spanish, Portuguese, Turkish, Korean and Persian. 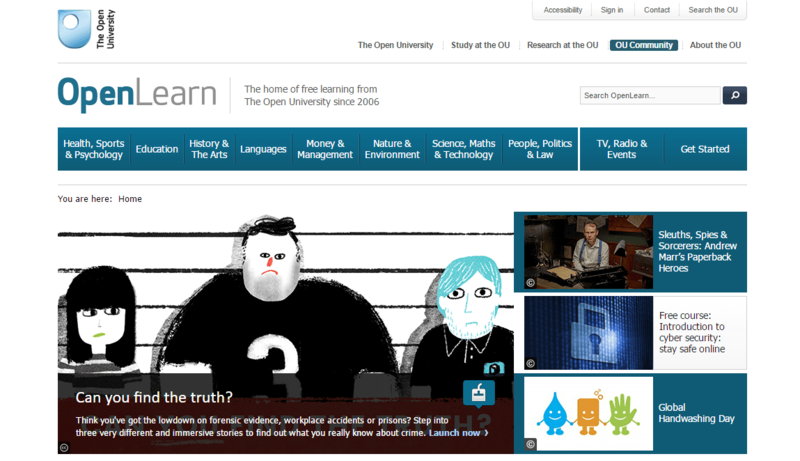 OpenLearn is The Open University’s free learning resources website. The subjects you will find there cover science, math, technology, health, education, history, arts, languages, management, environmental studies, politics and law. “Introduction to information security”, “Organisations and management accounting” and “Retail marketing” are some of the courses you can take free of charge. OpenLearn doesn’t offer any specializations or certifications, and if you want these, you would have to enroll into a paid course at The Open University but if you are after learning itself and don’t necessarily need a diploma to hang on your wall, this is the right place for you. Need a place to store your coursework and easily share it with peers, tutors, professors or friends? Sign up for a free pCloud account today!